A still lingering bitterness over The LEGO Movie being snubbed for Best Animated Feature back in 2014 should tell you all you need to know about the love for the first film. It was a surprising but remarkably imaginative and visually creative hit, so making a worthy sequel was never going to be easy. 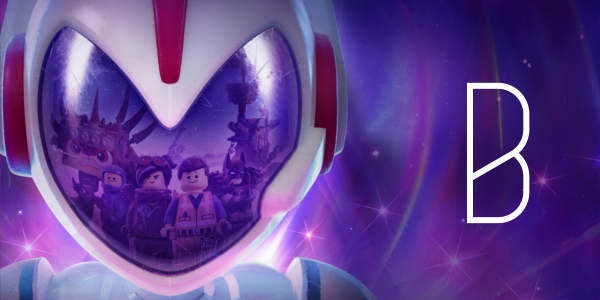 However, the ideas from the minds of writers Phil Lord and Christopher Miller always seem to click in some fashion, and The LEGO Movie 2: The Second Part is no exception. Assembling a solid voice cast is the first step to making your animated film stand out above the rest, and for The LEGO Movie franchise, this is not at all taken lightly. The same lovable characters from the first return, including Chris Pratt’s Emmet, Elizabeth Banks’ Lucy, and fan favorite (fresh off a spin-off) Batman, voiced once again by Will Arnett. But the excellence doesn’t end there, as Tiffany Haddish as Queen Watevra Wa’Nabi, who makes anything better, and the character of Rex Dangervest, also voiced by Pratt, make for worthy additions to the cast. The animation may not feel as fresh as before, with this being the forth film to utilize the style and look of LEGO at this point, but it is still spectacular from top to bottom. It’s bright and colorful, and allows for so much creativity, not unlike the real-life toys the film is based upon. With this comes a bevy of visual gags and references that fly by at a fast pace, a breakneck speed, for both adults and children alike. The story is the one place where the sequel stumbles slightly. 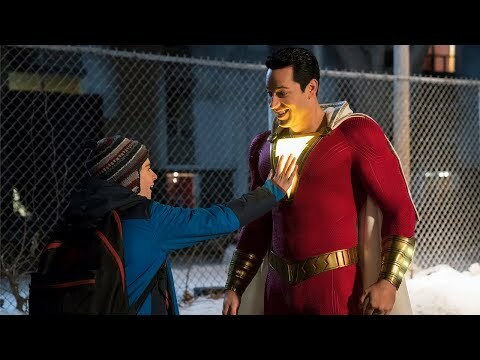 Without the surprise of its narrative twist from the first, in which all the characters are a part of a child’s playtime, the punch of its message doesn’t hit quite as hard. There is still something to be said about its message about siblings and growing up, one that feels like a natural progression from the first, and is sure to tug on the heartstrings of anyone who may have grown up with a little brother or sister. Plus, the film makes up for the lesser story by stepping up the music game in a major way. Be prepared to be humming the taunting chorus of “Catchy Song” for days. The LEGO Movie 2: The Second Part isn’t the smashing success that the first was, but it fits nicely into the fun and emotion that make this building franchise unique. The voice cast is still exceptional, and the addition of memorable characters on top of that, makes the whole thing pop, much in the same way the animation does. On its surface, one may view these films as corporate, assembled product, but they contain so much creativity and emotion that other films would die to have even a piece of.